From the battle of World War 2 to the unidentified objects spotted over Washington, Portal To Ascension brings you the top five UFO sightings that stirred the debate over the presence of extra-terrestrials amongst us. From very early times, stories of unidentified floating objects were reported in the past when human beings couldn't make out anything except they thought of it as messengers or signs of god. At the same time, it is hard to say whether the stories of unidentified objects in the past were mistaken for something else or they were UFO, is a kind of debate that cannot be resolved quickly. Well, the following points are the famous UFO disclosure news that kept the media, military, scientists and the common people searching for answers for a very long time. Well before we discuss the numerous UFO sightings between 2001 and 2015, we should go back to the first sightings that were reported during World War II in the year 1942. Three months after the Pearl Harbor attack, on the morning of February 25, all the military units were ready to face the Japanese raids on the California Coast. However, something unusual happened when an unidentified aircraft was spotted by the radar that was 120 miles west of Los Angeles, but it disappeared within few minutes. It was later discovered that the unidentified aircraft did not belong to the enemy side and paranoia, confusion, suspicion kept the newspaper and the public engaged for quite a long time. The most popular UFO news came to the public when two members of United States Air Force members reported of lights falling on the Rendlesham Forest. The incident took place on December 26th at 3 AM. When the servicemen went inside to investigate what was happening, they reported of seeing a metallic object moving around with bright lights coming off it. However, when the policemen came to check what was happening, they found out a light beacon coming from a nearby lighthouse but later discovered lots of marking in the place. This incident repeated a few days later, but this time the policemen saw three bright lights in the sky that stayed there for hours before vanishing in the air. Well, the astronomers tried to ward off the story as some bright star, but the lieutenant and other witnesses maintained their side of the story even after many days of reporting the incident. Just like identifying any other odd object in the sky as aircraft, similarly, an unidentified aircraft was spotted on the military radars in the year of 1952. It was a typical day in the Ronald Reagan National Airport when suddenly the air traffic controllers detected certain movements on the radars coming from an aircraft that was not scheduled to arrive in the place at that time. Here, the strange fact is that it was moving so fast that the radar screens could not spot it. Following the incident, accounts from eyewitnesses from the place, military personnel and crew members stated that they saw flashes of light in the sky along with other unusual occurrences. Everybody was curious and in confusion regarding this incident which led to the Air Force holding the largest press conference after World War II. They tried to calm the national anxiety by addressing the event as meteorological phenomena as temperature inversion that leads to the formation of energy which was detected by the radars but nothing related to the extra-terrestrial activity. It is true that the phrase ‘Flying Saucer' seems to co-exist with the word UFO from the beginning when unidentified objects started to appear out of nowhere in the sky. However, very few people know that the term was invented by the press when the pilot Kenneth Arnold reported an incident of a sighting in the year 1947. This happened in the same year when the Roswell incident took place. When Arnold was on a business trip to Yakima, Walsh, he spotted a bright light that was getting reflected on the side of his plane. After that, he was surprised to spot nine aircraft moving towards Mount Rainer in a V shape at a much faster speed than the plane he was travelling in, to his destination. To describe what he saw, he said that it seemed like saucers skipping on waters that were misinterpreted by the journalists that the objects looked like saucers which led to the term ‘Flying Saucers’. Later that week, many UFO sightings were reported followed by the Roswell incident. One of the most extended UFO sightings happened in the year of 1989 that began in November in Belgium and lasted till the next April. According to reports, around 13,500 people reported having seen strange triangular flying objects floating in the sky. Even in the year 1990, the military decided to follow some of these unidentified objects, but before they could move near to them, the objects flew out of range beyond further visibility. This event is considered a harmless mystery as well as one of the most extended UFO sightings in history. 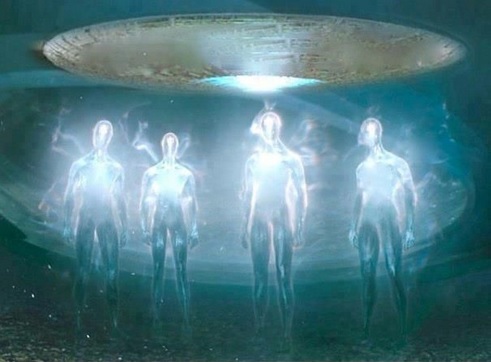 The above events are one of the famous UFO disclosure news that kept the astronomers, the military personnel as well as the ordinary people curious for a very long time. It remains a mystery even today because no substantial evidence has been found or brought to the public eye.